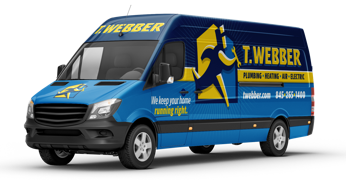 Indoor Lighting - T.Webber Plumbing, Heating, Air & Electric. The lighting in your home is both a functional necessity and design luxury. Lighting has the power to create ambiance or add decorative touches to space – a key part of interior design. Knowing where to install lighting to achieve ideal illumination is a skill; one that our Electricians have honed after years of on the job training. Whether you are looking to update your existing space with energy efficient lighting or add some decorative flair with accent lighting, our expert Electrical technicians can recommend and install a full range of indoor lighting to fit your needs and budget. To learn more about our indoor lighting solutions, or to schedule a service call to evaluate your lighting needs, please give us a call.